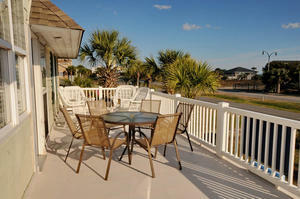 Ocean Drive community in North Myrtle Beach, South Carolina is a great vacation destination for many reasons. 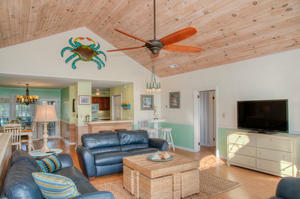 It's famous for beach music and shag dancing, beautiful beach and the award-winning revitalization of its downtown. Oasis is another of its claims to fame. 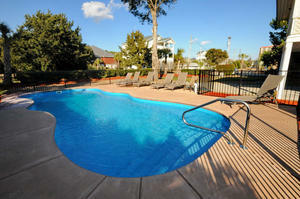 This fabulous North Myrtle Beach vacation rental is one street from the Atlantic Ocean. 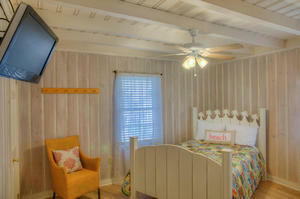 Seven bedrooms and three full baths are spread through the rental house -- upstairs and downstairs. 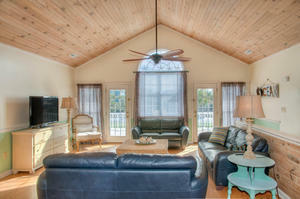 Up to 23 people are sure to fall in love with this non-smoking home away from home for their vacations. 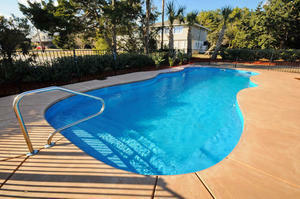 This North Myrtle Beach rental home is an excellent choice for lots of situations. Golf foursomes and significant others will be impressed. 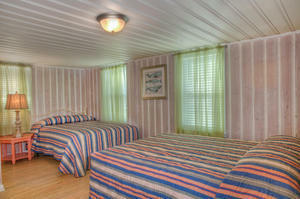 A couple of close families will rave about the amenities. 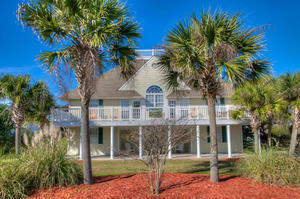 A large family will love easy access to the South Carolina shoreline and lots of room to spread out. 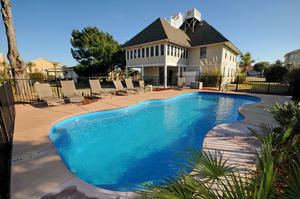 A family reunion can disperse to do whatever individual members long to do. 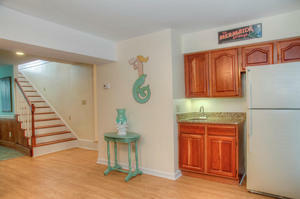 There is an upstairs living room and a downstairs living room. 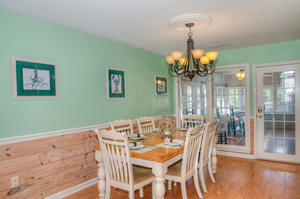 A fully equipped kitchen makes meals and snack time and midnight noshing an easy affair. 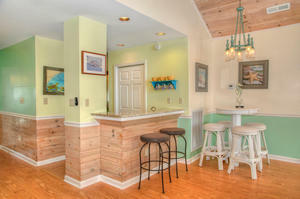 The breakfast bar is easily transformed into a wet bar when happy hour rolls around. 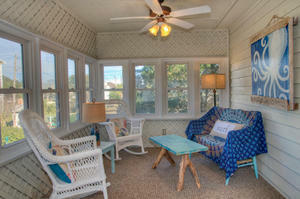 Two patios, a sun deck and a sunroom make it easy to soak up Carolina sunshine and score a place to nap. 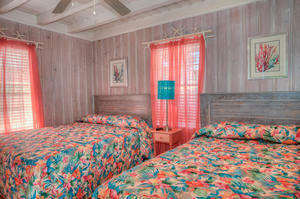 Those addicted to their technology will appreciate numerous televisions -- one of which is a 50" flat screen -- several DVD players, and high speed Internet access. 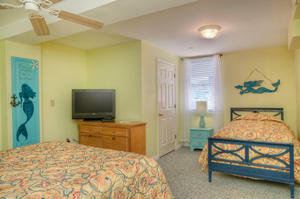 If there are moms in the crowd, one and all are sure to love an onsite washer and dryer; laundry can be a big task on sandy Myrtle Beach, South Carolina vacations. 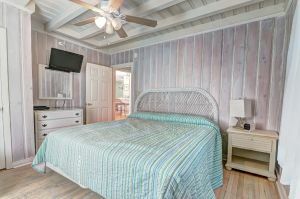 Not only is Oasis just across the street from the Atlantic Ocean, it is only minutes away from North Myrtle Beach championship golf courses, live entertainment theatres, an almost infinite lineup of water sports and more shopping and dining one vacation can accommodate. 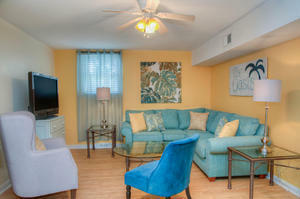 This tastefully appointed and ideally located home is a no-miss opportunity. Start planning now.